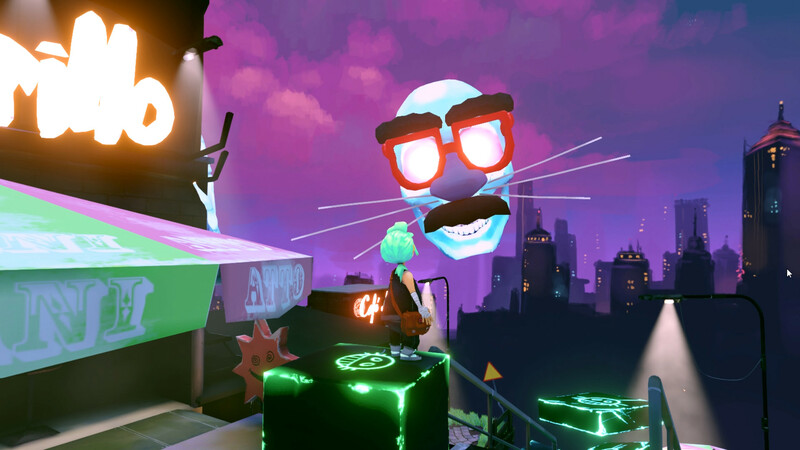 Carly and the Reaperman aspires to be more than your average VR game. It is a two-player game in which one player uses a standard controller to play as Carly, an innocent little girl stuck in the underworld, while the other player wears a VR headset to take the rule of the Reaperman – death itself. To beat the game, the two players must cooperate and develop excellent teamwork both in the digital realm and in the real world. We experienced this cooperative experience through the eyes of the Reaperman. Once the headset was on, we were greeted by the sweet Carly, and we immediately shared a fist bump. That was when we fell in love with the game’s artistic style and approach to the concept of VR; even it was pretty familiar so far. It took us a minute or two to realize that Carly isn’t an AI character we need to protect, but instead, she is controlled by one of the developers, standing close by. He was watching the game on a screen, while we were immersed in our headset. The Reaperman is huge in comparison to Carly and appears as a floating skull and a pair of bony hands. It gets around by grabbing objects in the environment and dragging itself forward, which is actually a very intuitive and easy way to move in VR. Levels aren’t very big, and it only takes several movements to reach any point in a level. You can also grab and move smaller objects, which is how you can solve most of the game’s puzzles. But the most crucial component to solving puzzles is working together. One puzzle had Carly crossing an invisible bridge. However, as the Reaperman, we were able to see it and direct the player next to me where to go to reach safety. You’ll also need to help Carly reach high platforms or cross huge gaps. For that, you need to place blocks and moveable platforms in the right place at the right time. Sometimes you can take your time to plan a strategy and work together with Carly, while other times you’ll have to work quickly and precisely – something that will test your communication skills and patience. 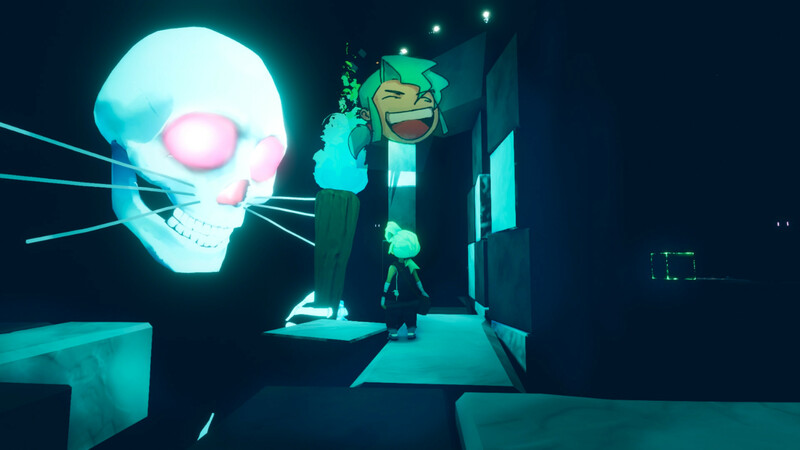 Carly and the Reaperman is a family-friendly game that helps develop mutual understanding, creativity, and cooperation through a cute platforming experience. It offers 40 levels and over 10 hours of asymmetric gameplay that breaks a lot of rules. Two players are sharing the same virtual world, influencing each other’s game, but both are experiencing that game in entirely different ways – that’s a unique and fresh idea. Carly and the Reaperman is the first title of the indie studio Odd Raven and is already available on HTC Vive, Oculus Rift and Windows MR.